* This film became the sixth-biggest moneymaker of 1964. Another film co-starring James Garner (and Polly Bergen), this one was originally planned for Marilyn Monroe (as “Something’s Gotta Give”). It was re-tooled for Doris and became another of the great comedies of the early 60’s. The title tune co-written by Terry Melcher became one of Doris’ most controversial recordings and her last single hit. A man makes the highly unexpected discovery that he has two wives in this romantic comedy. Widower Nick Arden (James Garner) has just set off on his honeymoon with his new wife Bianca (Polly Bergen) when his mother Grace (Thelma Ritter) receives a very unexpected guest -- Nick's late wife Ellen (Doris Day). While Ellen was proclaimed legally dead five years after her plane disappeared in a flight over the Pacific Ocean and she fell overboard a life raft, she made her way to a deserted island. Here she was stranded	with Stephen Burkett (Chuck Connors) and only now has managed to return to civilization after getting picked up by a Navy submarine. When Grace informs Ellen that Nick has just left town with his new wife to the destination of their formerly favorite hotel in Monterey, Ellen heads out to the resort where the newlyweds are staying, and comic confusion ensues. Day is as charming as ever and she and Arden sizzle as they fluctuate between enraptured lovers and warring spouses, while there are also some great turns from the supporting cast. It’s good old-fashioned ’60s farce at its best. Seymour: So's mine, buddy, that's why I drink! "A re-shot version of Something's Got to Give (1962), the never completed film Marilyn Monroe was working on when she died." "The movie that Ellen (Doris Day) describes to Bianca (Polly Bergen) while giving her a massage is My Favorite Wife (1940), of which this is a remake." "Doris Day proved what a trouper she truly was when James Garner accidentally cracked two of her ribs (during the massage scene, when he pulls her off of Polly Bergen). Garner wasn't even aware that Day was injured until the next day, when he felt the bandage while putting his arms around her." 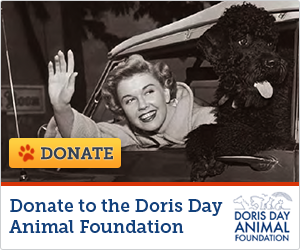 "The producers scheduled the scene with Doris Day riding through a car wash for the last day of shooting because they were concerned that the detergents used in the car wash might affect the star's complexion. When the scene went off without a hitch, they admitted their ploy to Day, then used the story in promotional materials for the film." "When Bianca is helping Nicholas out of the car and into the house (Nicholas pretending to have hurt his back), the jacket Bianca is wearing is the same pattern/material as one of Marilyn Monroe's dresses from Something's Got to Give (1962) - (on which this film's script is based)." Title song for movie is credited to Terry Melcher, Doris Day's son. Pat and Peggy both sing the theme tune to movie whilst in a love triangle with Harvey.